What made Instagram so popular? – Go through the very simple sign-up process. You can add a status update/description to your photos, similarly to how you would on Facebook. 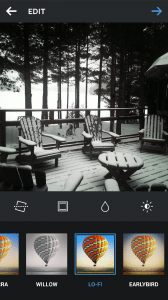 Unlike Facebook and Twitter, Instagram is based entirely on photo sharing. The text that goes with photos is secondary to the image itself. Instagram can only be used on your phone. You can view, browse, comment and like from a desktop computer, but the only way to add photos is through the mobile app. Instagram has published a pretty handy “Instagram for Business” blog that you can follow. It’s got tips, tricks, case studies and advice for you to refer to. If you are serious about adding Instagram to your marketing, this will be a helpful resource for you! Optimize your profile like you would on Facebook & Twitter. You want to make sure you include important information about your business. Like Twitter and Facebook, there are specific guidelines you’ll need to follow like character limits and image size restrictions. Set your location, and include a short caption that describes what your business is all about and what people can expect from your posts. Don’t use your logo as your icon here . . . Instagram is all about the photos. Choose a creative, attractive image that best illustrates your business. Make sure you don’t just post your products. People want to see inside your business—behind-the-scenes photos of your staff and an inside look at how you get your job done. Do you bring your pets to work? Animal photos are very popular on Instagram! Believe it or not, so are gourmet food photos; if you’re having an exceptional lunch or dinner, maybe you should share that with your followers. 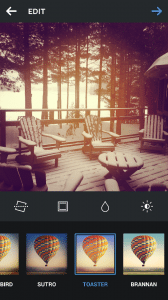 Instagram is a great place to show the lighter, more personal side of your business. Certain hashtags are very popular, for instance #meatlessmonday is a foodie tag that many people follow. They post photos of their Monday meals that are vegetarian, and people swap recipes and ideas! Build a followership. Use popular hashtags to build your audience. There are hashtags on Instagram for pretty much any interest group, and some very mainstream hashtags (like #meatlessmonday and #nofilter). 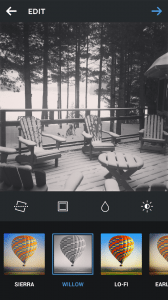 These hashtags basically categorize your photos and will make them visible to anyone looking in that category. They will connect you with other like-minded individuals. 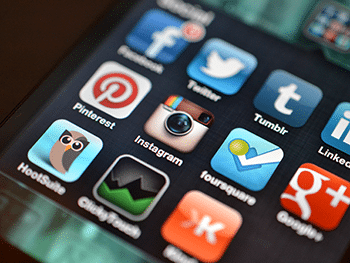 Instagram connects easily with your Tumblr, Twitter, Facebook, Foursquare, and Flickr. You can connect to your followers and friends from those networks on Instagram. Be sure you follow people, like their photos, and leave comments. That’s the best way to get noticed! When someone follows you, follow them back. Inspire your followers! Are you a kitchen remodeller? Or a landscaper? Or a restaurant owner? If you operate a business that has any kind of visual result, show off your stuff! Even a mover can show a loaded-up truck for a particularly big and organized move — how great would it reflect on your business to show off how orderly and in control your staff was with such a big and stressful project? If you work inside or outside the home as a contractor or landscaper, you can show off the transformations and beautiful spaces you create for your customers. What better way to inspire your followers and build confidence in your business? 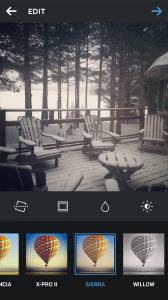 Do you use Instagram as part of your business marketing strategy? Share your success stories with me in the comments!